Northampton retailer Steffans is famous for branded silver jewellery, but now the kings of brands Steff Suter and Wes Suter tell Rob Corder why they believe fashion watches are where the growth potential in the market lies as they take him or a tour of their first watch boutique WatchWorks. The girls hunting for a fashion fix on Northampton’s Abington Street are among the 99% of ordinary people that shop in Primark while dreaming of the brands on Bond Street. They escape their unexceptional lives in an unexceptional Midlands town by watching Made In Chelsea and imagining that, when their lottery numbers come up, they will be shopping in Harvey Nichols with Millie and Caggie. Northampton is not a town where you will find Gucci and Armani boutiques. And yet, if you continue to the top of Abington Street and dodge the traffic on the gyratory system, you will find an emporium bursting with brands including Vivienne Westwood, Michael Kors and Hugo Boss. What’s more, the dream of owning a piece of Vivienne Westwood is less fanciful than the 99% think. For just £140, they can buy a Ladies Neptune White Leather Strap Watch inspired by Britain’s grand dame of fashion. Selling a little piece of luxury at a price that Northampton can afford is the founding principle, and is the foundation of the success of Steffans, the watch and jewellery dream factory at the top of Abington Street. 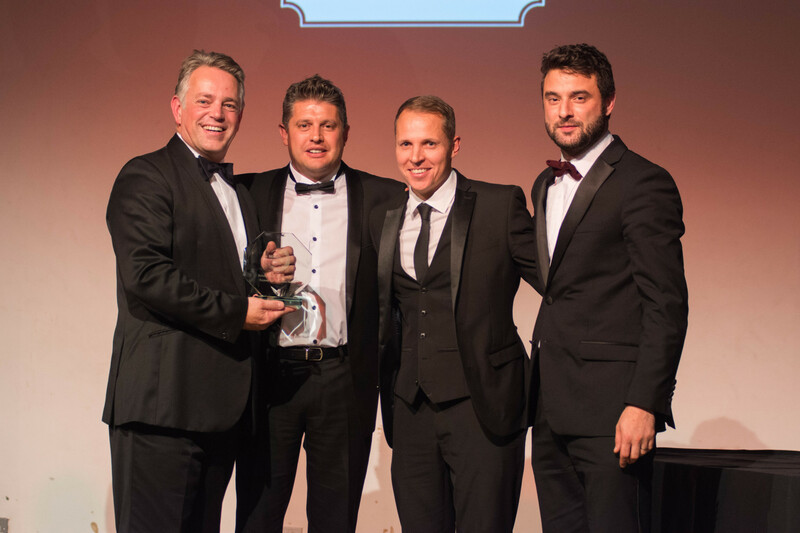 The father and son owners, Steff and Wes Suter, are as close as the British jewellery and watch retail community gets to celebrities. When we meet, the irreverent Steff is dressed, as ever, like he was modelling for the cover of Sergeant Pepper’s Lonely Hearts Club Band in the 1960s and refused to change out of the suit. The sharp-tailored, and equally sharp-tongued Wesley, appears poles apart from his dad, but the similarities are stronger than he would like to admit. “We are always arguing,” they both tell me at different stages of a morning spent in the store, which is strange because the more you hear from them, the more in tune with each other they appear. I’m at Steffans to learn about WatchWorks, a newly opened fashion watch boutique that occupies about a quarter of the footprint of the recently extended and reopened flagship store. Steffans is in the middle of a once-in-a-generation expansion phase. 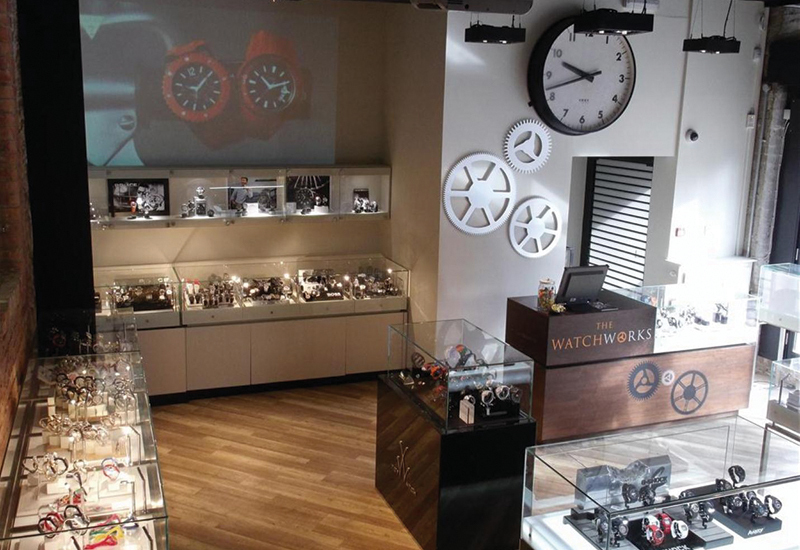 WatchWorks was made possible by almost doubling the size of the original Northampton store. Its grand opening in June came only weeks after the company announced that it had secured the lease of a second site in Market Harborough. The new store might be only 20 miles north, but the town is considerably more gentrified than Northampton, which Wes suggests will give the business access to a more affluent customer. “It will be very much the same style of store as we have in Northampton, but two shops, along with the website, will also give us some opportunities to experiment,” he explains. The opportunity to acquire the Market Harborough site came after years of painstaking negotiation with a church in the town that owned it, and getting it ready to open in a year when the economic downturn is putting pressure on the budgets of all independent retailers will be a strain. The banks have hardly been in a mood to finance Steffans’ growth, so the business has been forced to look for creative ways to achieve the stylish look of the two stores. In true entrepreneurial style, the Suters seized on a timely opportunity brought about by the implosion of Azendi earlier this year. As he describes the swoop, I recognise the Azendi furniture. WatchWorks is almost entirely kitted out in the polished white glass-topped counters. The diamond room where we are sitting, which until a few months ago was a courtyard garden, has used Azendi’s black lacquer tables and shelving. Even the lampshades seem familiar. There are still a few final touches to complete the relaunch of Steffans, but the zonal layout of the store is established. The corner store has two entrances, but it is clear that watches have been intentionally positioned towards the facia from which most people will approach. On one side of the main frontage is the brand new WatchWorks area, to the other is the more traditional Swiss watch zone. The diamond area is predominately designed to entertain couples looking for engagement and wedding rings, but it also houses luxurious brands including Shaun Leane, Brown & Newirth and Stephen Webster. Branded jewellery remains the largest part of the store, but it feels a little dated in comparison to the contemporary mix of etched glass, brick, wooden flooring and Azendi furniture in WatchWorks. “It is a bit like decorating a house – once you do one room, you realise that it makes the rest of the house look like it needs some love,” admits Steff. 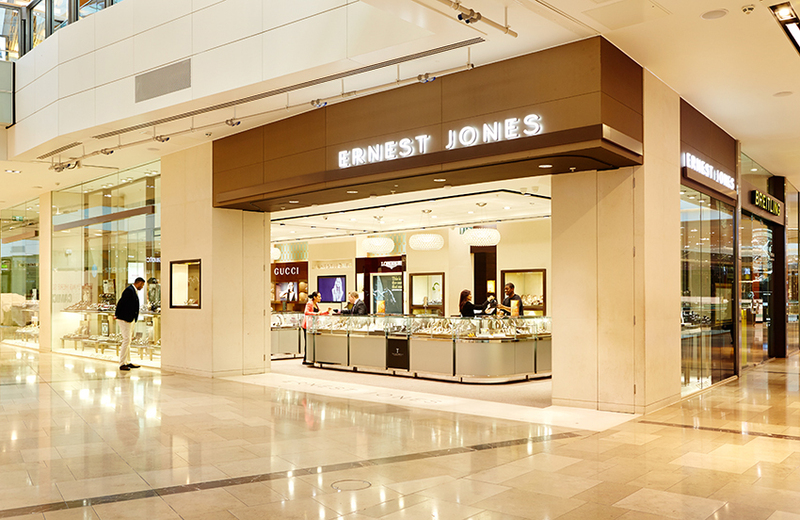 He also discloses his view that branded jewellery from the likes of Thomas Sabo and Pandora, which have been the engine room for the company’s growth over the past decade, are starting to deliver diminishing returns. It probably doesn’t help that TH Baker has opened a franchised Pandora store just down the road in Northampton’s Grosvenor Centre, but Steff is ready to call the end of the gold rush for these dominant brands. “I love my music, and brands like these feel like bands that had their greatest hits in the past,” he muses. Evidence so far suggests he is right. Watch revenue at Steffans has doubled in the month since WatchWorks opened compared to the same period a year ago. 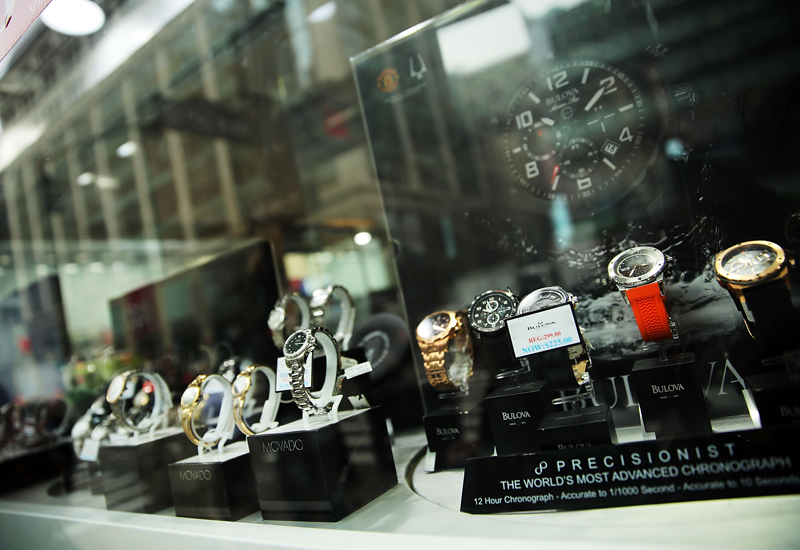 Sales are up across all parts of the watch business: fashion watches, Swiss watches and pre-owned watches. Already, the revenue from fashion watches equals that of Swiss watches. The rain of the past few months has also failed to dampen sales. “It is remarkable that people are still prepared to come out in the rain and walk all the way to the top of the street to get to us,” he marvels. It could be because Steffans is as much a destination as a shop. The shopping experience in WatchWorks is stylish and inviting; Steff hates the thought that anybody might be too intimidated to come into the store. Gold foiled chocolates are offered along with frothy cappuccinos, even if customers are only spending £30 on a Swatch. “You never know which customers will go away raving about the experience to somebody who could come back to buy a TAG Heuer,” says Wes. The most expensive watches in Steffans’ Swiss watch portfolio are about £5,000 for top-end TAG Heuer models. Wes can’t conceal a desire to claw a little higher up the luxury ladder, but this is more a personal passion than a business plan. The company is currently doing a brisk trade in pre-owned luxury watches – buying and selling timepieces from Rolex, Cartier, Omega and Jaeger-LeCoultre. The market for pre-owned has been transformed in the current recession. Yesterday’s nouveau riche are feeling the pinch and getting good prices for watches they bought with bonuses during the boom times. 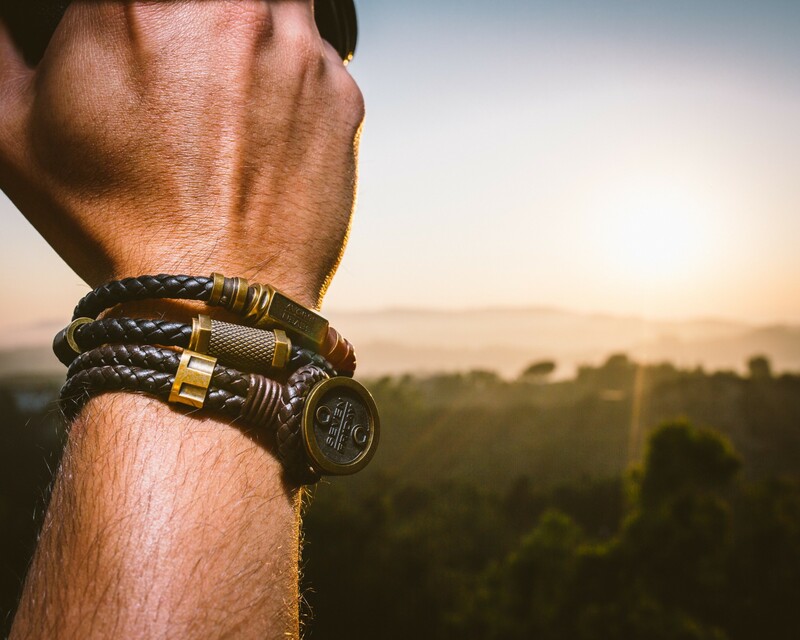 A new professionalism has also emerged, with companies like Watchfinder making second hand watches look cool and clever. Steffans currently carries about £250,000-worth of pre-owned watches, and is happy to buy more if the right pieces cross its counters. So happy, in fact, that it offers to buy back any pre-owned watch it sells at the same price they sold it for when a customer is ready to trade it in for a pricier model. Pre-owned watch trading is an example of Steffans evolving and innovating in a difficult market, and is as opportunistic as the Azendi furniture grab. 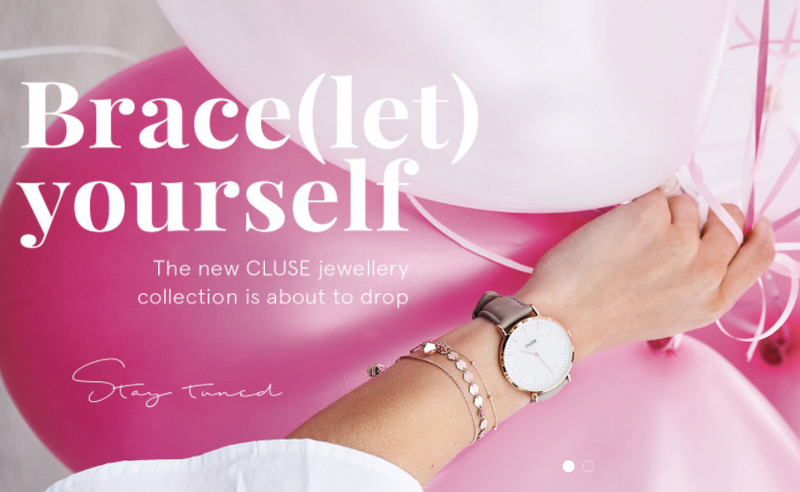 It is revealing that the company is cashing in on pre-owned watches, even though Steff thinks the trend will run out of steam as the economy recovers. He’s seen it all before in the 45 years he has been working in the jewellery and watch retail business. In a recession, people have to sell valuable assets like luxury watches and jewellery, and people are happy to buy second hand. When the economy recovers, people will stop cashing in their luxuries, and start buying new again, he believes. The opening of the Market Harborough store will bring a year of dramatic growth to an end for the family business. But the company will not stop taking risks as the retail landscape and economy change. The addition of WatchWorks to the Northampton store is an experiment that both father and son believe is necessary as the biggest jewellery brands of the past five years plateau. If they are right, Steffans could well be looking for even more store space in the future.